Get Your Home Fourth of July Ready with these 7 Tips! One of our favorite holidays is right around the corner. At Interstate Roofing we love spending time with our families and celebrating our patriotism with a summer barbecue and fireworks. 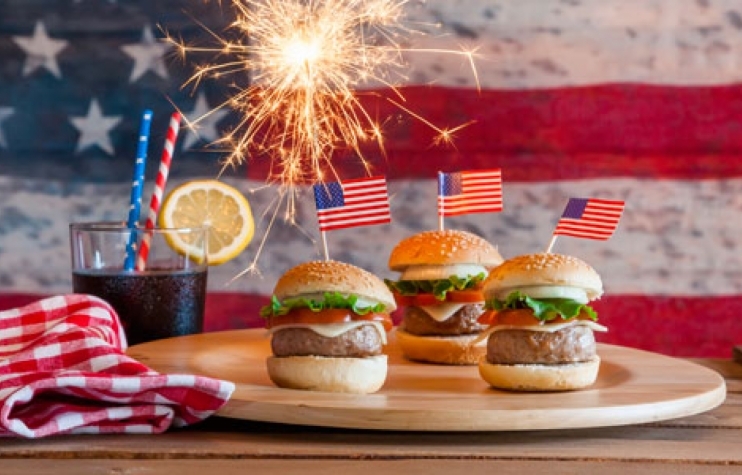 Fourth of July parties are some of the easiest to prepare for because cooking a dozen hotdogs and hamburgers is much easier than roasting a turkey and there aren’t any presents to wrap! As your favorite Denver roofing company, we took the liberty of finding you an easy list of how to make your Fourth of July celebrations go off without a hitch. A checklist to get your home ready to celebrate in a safe, fun way. First things first: No patriotic scene is complete without Old Glory. Whether you want to install a front-entry flagpole or place an in-ground flagpole in your yard, make sure you follow the Flag Code, which states the proper guidelines for displaying the American flag. We’ve made the Flag Code rules easy to follow: Flag Hanging Dos and Don’ts. Summer cookouts are best kept fuss-free, and the one for this holiday celebration is no different. A classic picnic table is the perfect outdoor dining spot for hosting friends and family. It takes only one weekend to build your own out of rough-sawn cedar, but it will last for years. If you haven’t already done so this year, give your grill an annual checkup to ensure safe, efficient cooking. For details, see: Get Your Grill Ready for the Barbecue Season. Tired of the same old burgers and hot dogs? Don’t be afraid to try your hand at cooking with a charcoal smoker. For those who are truly passionate about BBQ, the investment is well worth it. Fast-lighting briquettes are convenient, but we prefer chemical-free options for fueling up, such as natural briquettes, hardwood lump charcoal, and hardwood logs.